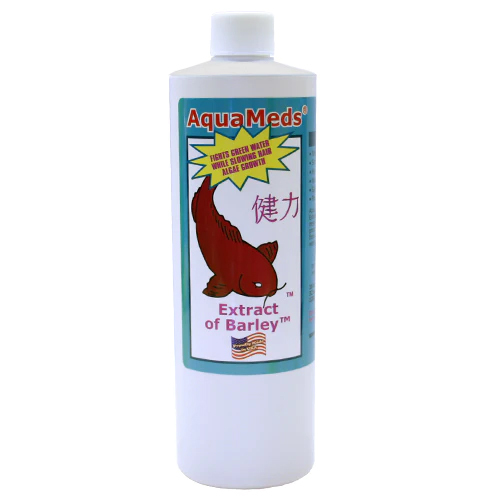 Aquameds Extract of Barley is the all-natural way to keep pond water clear. Extract of Barley provides the same benefits of barley straw but without the mess of pellets of bales and works much faster. Enzymes derived from the natural barley fermentation process help promote a healthy and naturally clear pond. Mix with pond water then apply in moving water or around the pond's edge.